You’re lacking the right equipment for your favorite sport, would like some guidance when buying gear, or looking to challenge yourself with a new activity? We’ll show you where you can go to get sporting goods, and expert advice, in Bremen. The sporting goods store Unterwegs is in the middle of Bremen’s city center. From camping equipment to hiking to canoeing: Here you’ll find a wide selection with many well-known brands and advice about what you need. The shop Shape You gives advice on fitness and sport nutrition. In the Faulenstraße, you’ll not only get nutritional supplements, but also tips for your own personal training. Titus in the Viertel has equipment for skating and streetwear. Find that special skateboard or get outfitted with protection and other accessories. 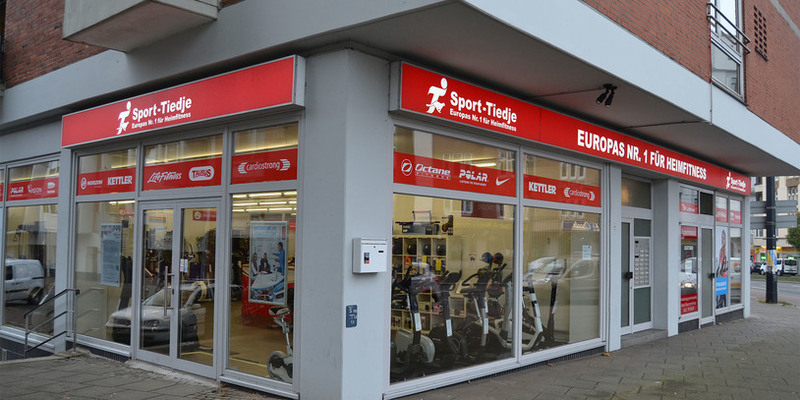 The name gives it away – in this building, one of Bremen’s largest department stores – only sport and fitness articles are sold. 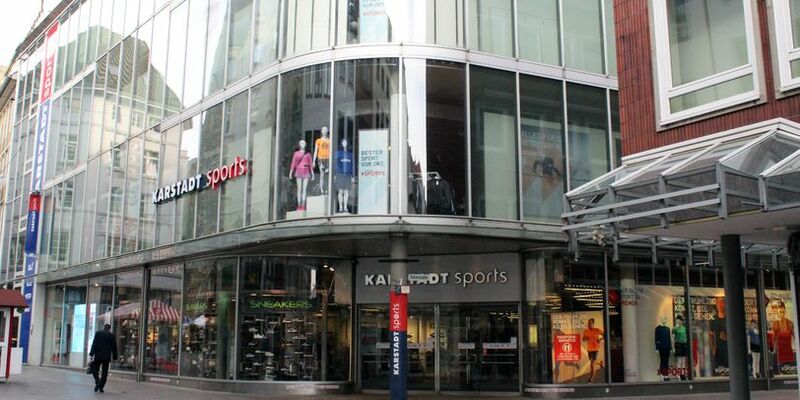 On Karstadt Sport’s six floors, you’ll find equipment and clothing for a variety of sports. Additionally, they offer special customer services like a running-shoe analysis. You’re planning a trip or are gripped by wanderlust? The Globetrotter in the Viertel will set you up with the right equipment. In addition to various accessories and a selection of clothing, Snipes also has a large assortment of sport shoes. As well as running shoes, you also find the right basketball and skating shoes here. Hansa Jagdausrüstung is your port of call for hunting equipment. You’ll not only find your hunting gear here, but also everything you need for playing darts. Jack Wolfskin supplies you with the right outdoor gear, so you can feel as comfortable outside as you do at home. With 300 square meters of selling space, the Bremen store offers a large selection and expert advice. You’d rather train at home? Whether you’re looking for cardio machines, weight-lifting apparatus or other equipment, you’ll find it – plus sport nutritional supplies – at Sport Tiedje. Das Geschäft Sport Tiedje von außen. 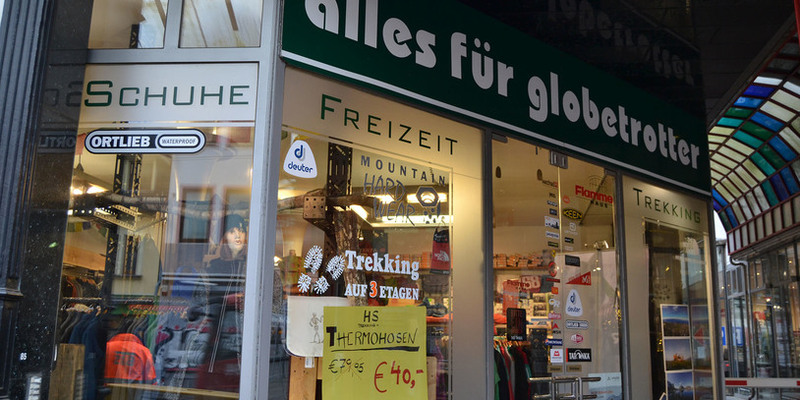 Auf zwei Stockwerken bietet der Outdoor-Store eine große Auswahl an Markenprodukten. Der Sportladen berät euch fast in der Bremer Innenstadt rund um Sportlerernahrung. 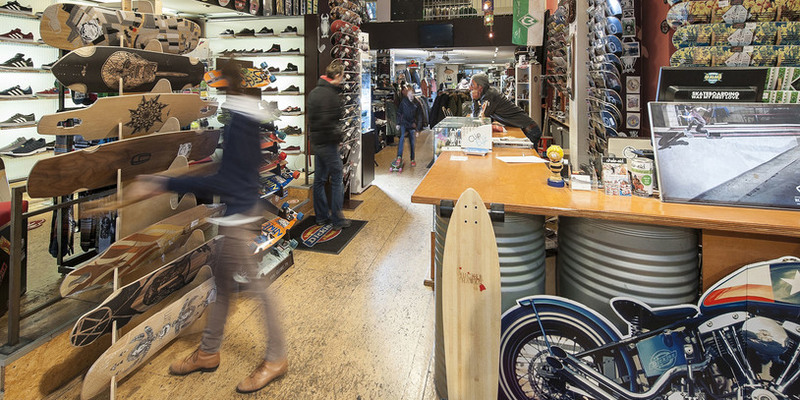 Titus ist ein Skatershop im Viertel. Karstadt sports bietet sowohl im Store als auch im Internet eine große Auswahl an Sportausstattungen. Für Wanderer bietet Globetroter eine Vielzahl an Ausstattung. Snipes ist hauptsächlich für die Sportschuhe bekannt, doch auch Sportzubehör und Sportkleidung gehören zum Sortiment. Hansa Jagdausrüstung versorgt Bremen mit dem passenden Jagdequitment. Die deutsche Outdoormarke bietet eine Vielzahl an Sportbekleidung. Sport Tiedje liegt am Leibnizplatz und versorgt euch mit Sportgeräten.